Agnolotti are the ravioli of Piemonte (don’t say this to someone from Piemonte though, because they will say that ravioli and agnolotti are completely different). Agnolotti are not just any kind of ravioli, as agnolotti have to be stuffed with braised meat (whereas ravioli could also be stuffed with vegetables or seafood). As with most Italian dishes there are as many versions of agnolotti as their are families in Piemonte, but in most cases the stuffing consists not only of meat but also of cabbage or some other type of greens, and in most cases the the agnolotti are served with a sugo from the braising and are cooked in meat stock. 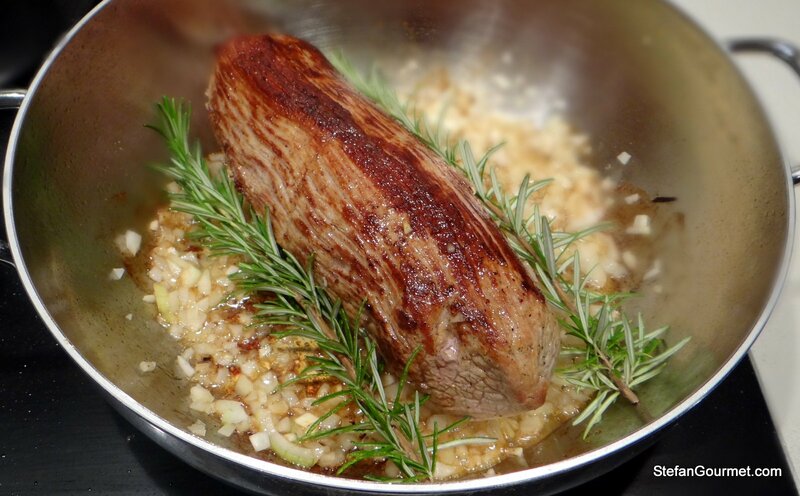 Many types of meat can be used, such as beef, pork, veal, or rabbit. 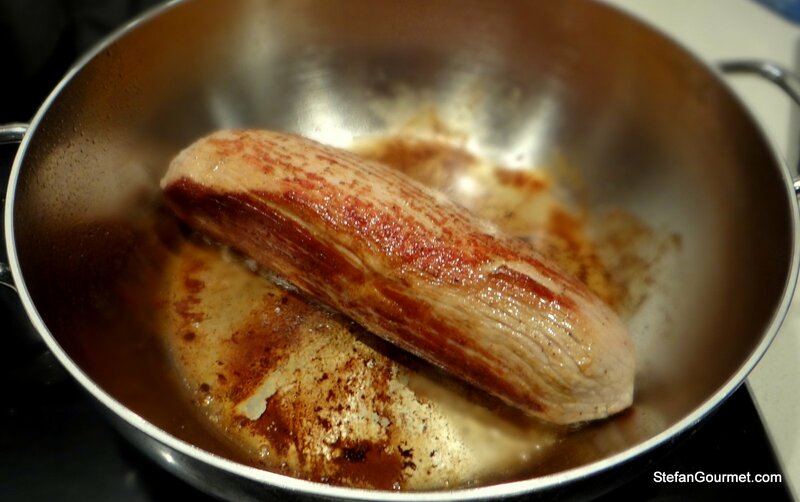 Often a mixture of different meats is used. In this case I used veal. 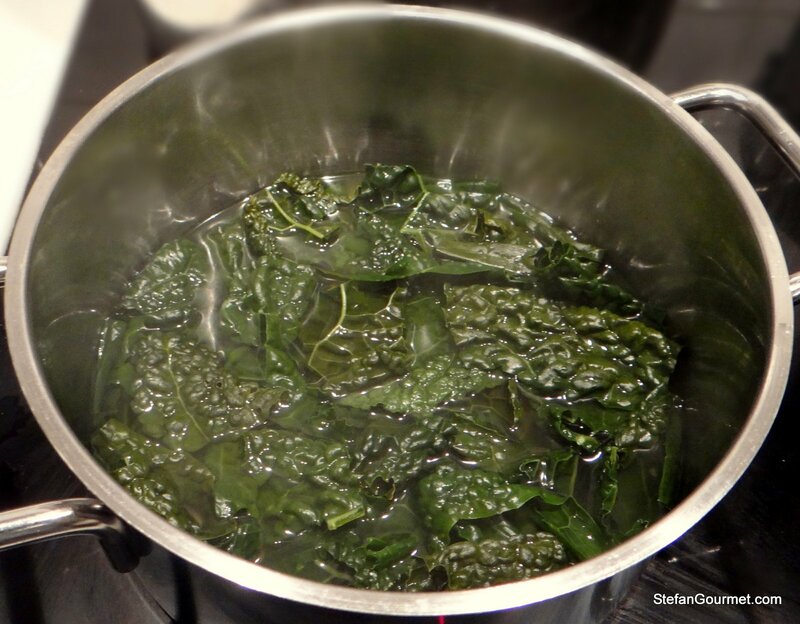 Cavolo nero is my favorite type of cabbage, and that is what I used for these agnolotti. That means cheating a little, as cavolo nero is from Tuscany. Savoy cabbage (verza) is what would be used in Piemonte. I also decided to cook them in stock, which is very traditional. After using the stock for cooking the agnolotti, it will have become clouded from the starch. 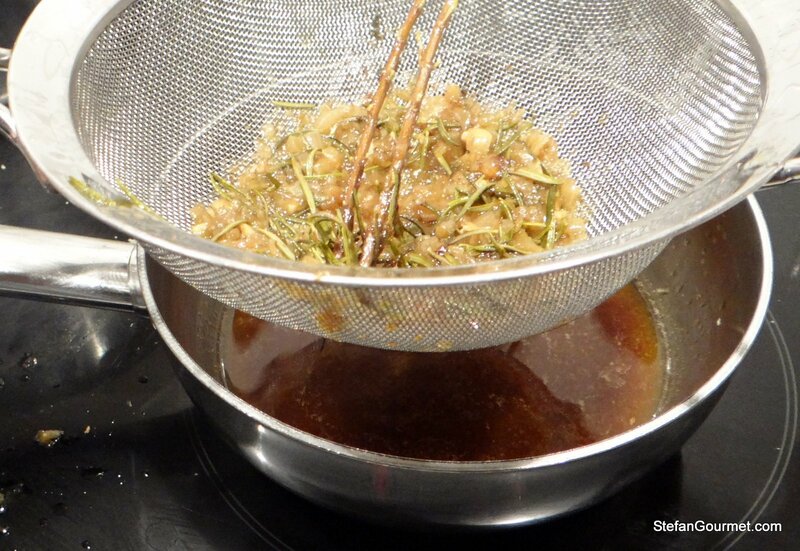 You can still use the stock to make risotto. In fact, the starch in the stock will help to make the risotto more creamy. Here’s my version of agnolotti. I prepared 4 litres (4 quarts) of meat stock by pressure cooking 1 kilogram (2.2 lbs) of ground pork, 1 kilogram (2.2 lbs) of ground beef, 4 chicken wings, 2 beef marrow bones, 2 celery stalks, 1 onion, 1 carrot, parsley, thyme, and peppercorns for 2 hours in 4 litres (4 quarts) of water. 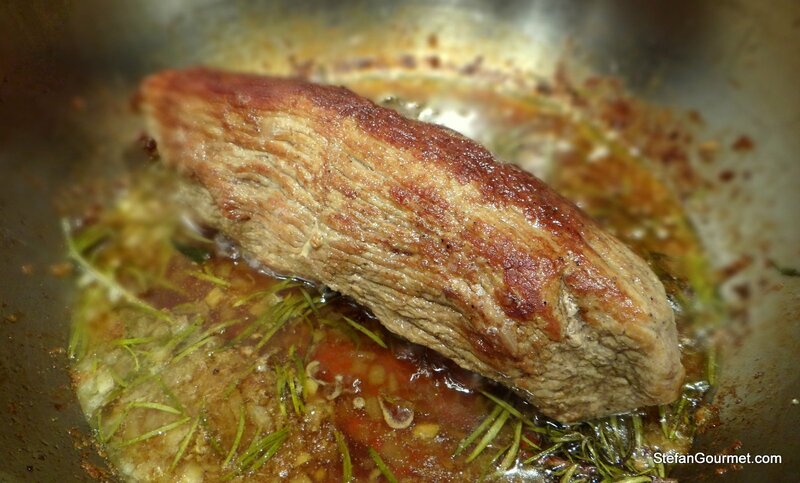 I then allowed the stock to cool and removed the layer of fat on top. 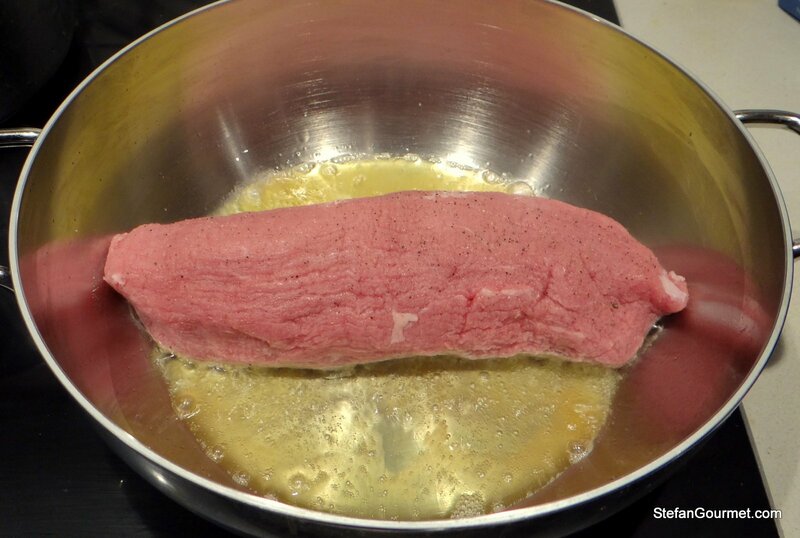 Melt the butter in a casserole and add the meat. Cook over medium heat until the meat is browned on all sides. Add the onion and garlic and sauté until translucent. 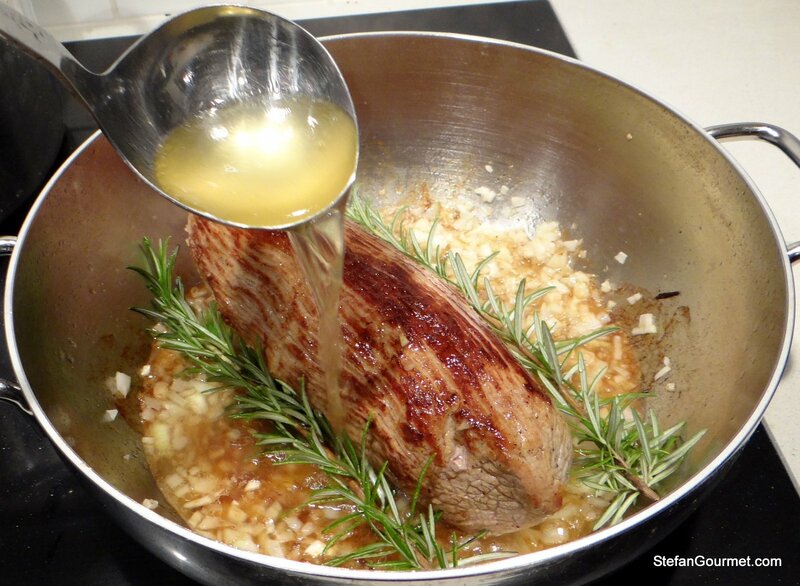 Add the rosemary. Add a few ladles of hot stock. 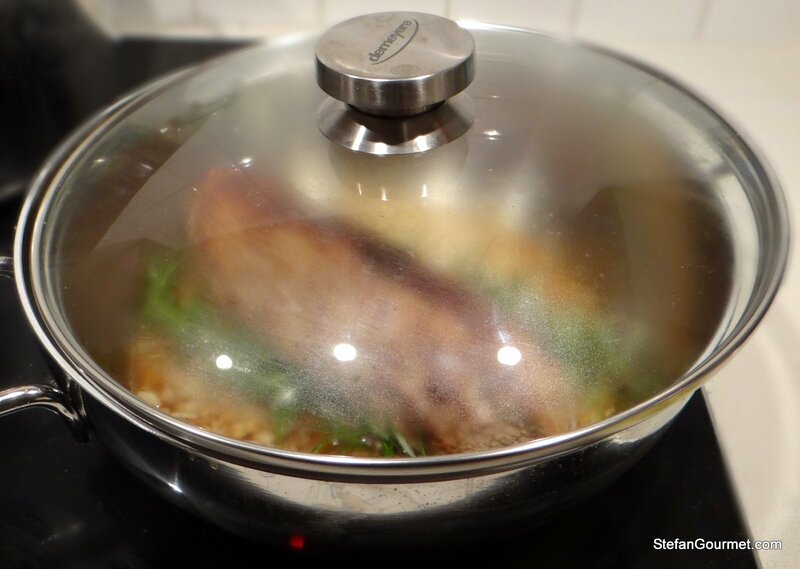 Reduce the heat to a simmer and partially cover the casserole. Braise the meat for 3 hours, adding stock now and then and turning the meat now and then. 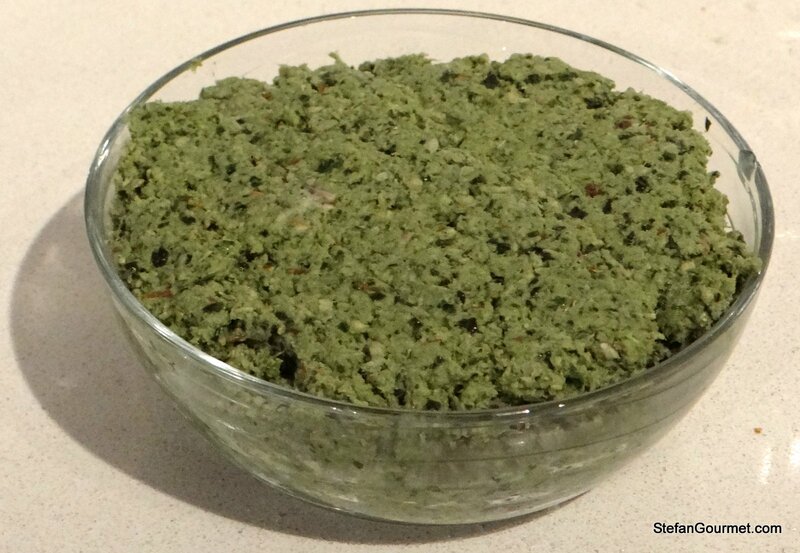 When the meat is tender, filter out the solids from the reduced stock and meat juices. Allow the meat to cool somewhat. Meanwhile, cut the tough central vein out of the cabbage. 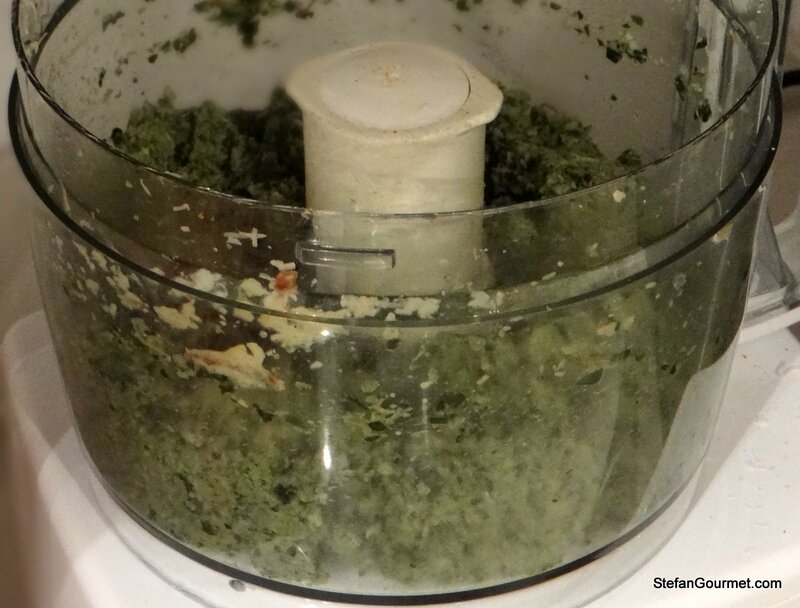 You should have about half by weight left (50 grams). Parboil the cabbage for 10 minutes, then drain well and allow to cool somewhat. Cut the meat into cubes. 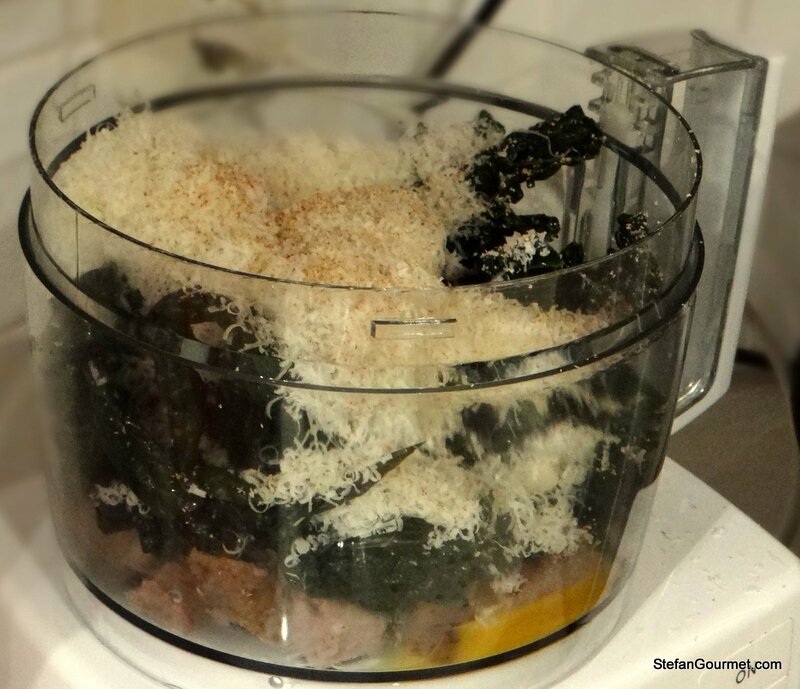 Combine the meat in the bowl of your food processor with the cabbage, 1 egg, the parmigiano and some nutmeg. Season with salt and freshly ground black pepper. Pulse until coarsely but homogeneously ground. Taste and adjust the seasoning with salt and freshly ground black pepper. The stuffing should be more salty than you think, because you will taste it less once it’s in the agnolotti. Transfer the stuffing to a bowl, cover with plastic wrap and refrigerate for a few hours to firm up. Make pasta dough from the remaining eggs and the flour, roll it out to the thinnest setting, and make ravioli agnolotti according to my instructions. Arrange the agnolotti on a surface that you sprinkled with flour. Turn the agnolotti around after 15 minutes or so if you are not cooking them straight away, so they can dry on both sides and won’t stick to the surface. 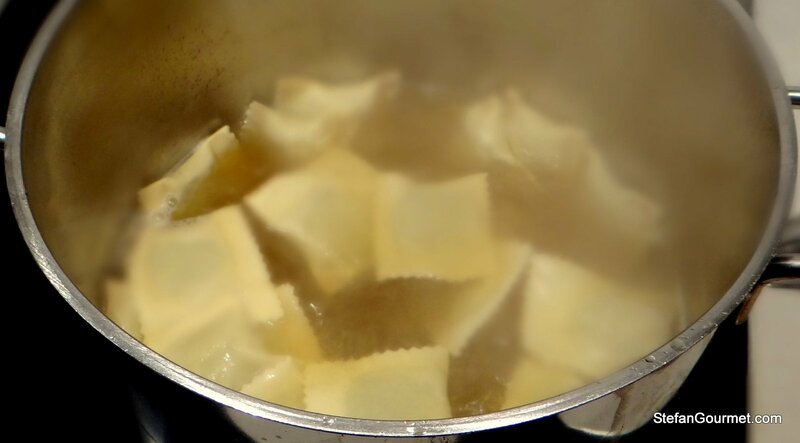 Boil the agnolotti in salted water or stock for just a couple of minutes. Serve the agnolotti on warm plates with a bit of hot sugo and some more freshly grated parmigiano. A red wine from Piemonte is of course most appropriate for this, and a Barbera is the best match for agnolotti. I prefer a Barbera d’Alba that has been slightly oaked and aged for 5 years or so. Very nice indeed Stefan. I might just cook some past this weekend. Inspiring! Thanks, Conor. This was my test run for this weekend and very tasty. On Friday and Saturday we will be making 80 pieces each night. Beautiful, I love stuffed pastas too! Do I detect an improvement in your photos? Much sharper definition and contrasts! It’s perogi-making time for me, as I do these once a year for Ukrainian Christmas Eve. Seeing all your little ravioli lined up in a row like that reminds me how much work lies ahead for me. Of course, I could buy some perogi – but they wouldn’t be nearly the same, would they? And when it comes down to it, we love making them! (Don’t we?) :). 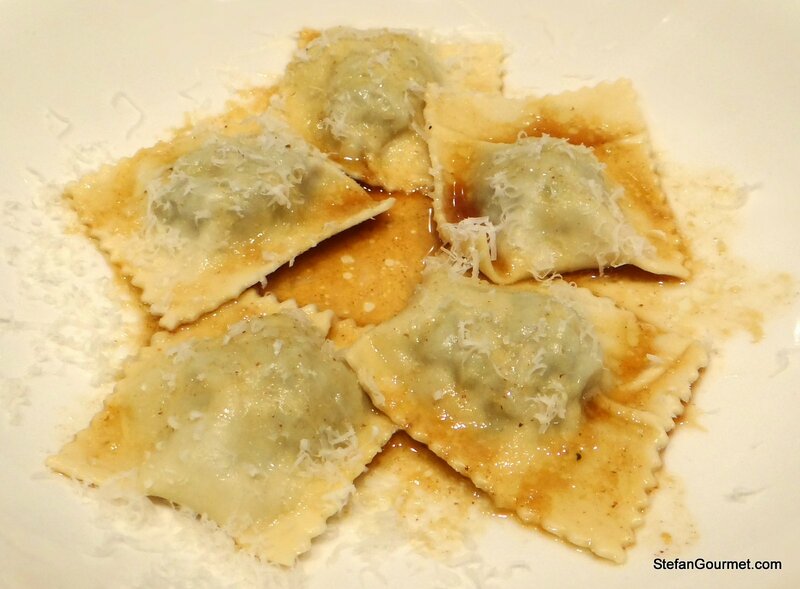 I had never heard of ‘agnolotti’ – thanks so much for this post. Wish I had a plate full of agnolotti right now !! You only encounter them in Piemonte, so I’m not surprised. Another lesson ~ I do not think I have ever prepared stock from minced meats! And yet -why not? Taste and depth more easily accessible!! The agnolotti I often have [but just as often not as purist in prep 🙂 !] are s’thing to which I dearly look forward!!! Thanks 🙂 Faster and more even flavor extraction is exactly the reason for using minced meat. OMG, I’M HUNGRY NOW! Also in my region (Emilia-Romagna) we’ve some type of ravioli. We call them “Tortelli” (not Tortellini of Bologna, they’re tiny and the prep of the pasta is different) or Ravioli, not Agnolotti. In my region we use also Mortadella (cold cut) and potatoes or pumpkin for the stuffing. Grazie! Ho fatto i tortelli di zucca 🙂 Cosa c’è di diverso con l’impasto? Hi Stephan, for tortelli di zucca or filled in someother way, we don’t use cavolo nero, it’s typical of Toscana and some other regions. For tortellini di Bologna, here a link to a detailed recipe. I thought you said tortelli from your region requires a different type of dough from tortellini from Bologna. Perhaps I messed up trying to write in Italian. What is the difference between the pasta dough for tortelli and for tortellini? Sorry. My explanation was not clear. In the dough there are no difference between tortelli, ravioli and tortellini. 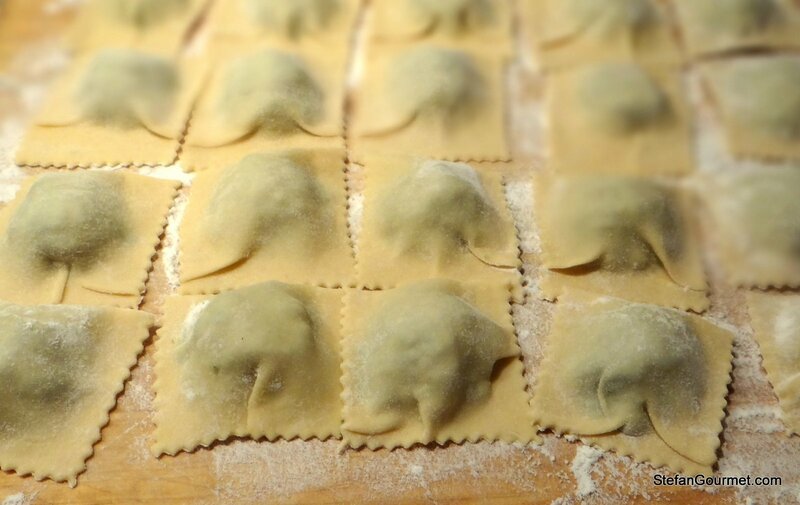 The difference is the way you fold the pasta: ravioli are squared or in my region, a mezzaluna (half-moon shaped), tortellini are smaller and they remember a”belly-button” in shape. Già sapevo che i ravioli sono piegati in modo differente dei tortellini. Però credo che tortellini siano tortelli piccoli. Non è vero? These are lovely. I love your filling combination as well (sounds good to use some Thanksgiving turkey leftovers in there 🙂 ). it sounds really tasty. I think the Thomas Keller Agnolotti from the French Laundry cookbook have a realy nice shape. It took me a few tries to get them right, but eventually it “clicked” and they came out beautiful. I posted about them on my blog a while back.